A frame from the cartoon "Masha plus Kasha"
The 17th series of the well-known franchise somewhat unexpectedly scored more than 2 billion views. 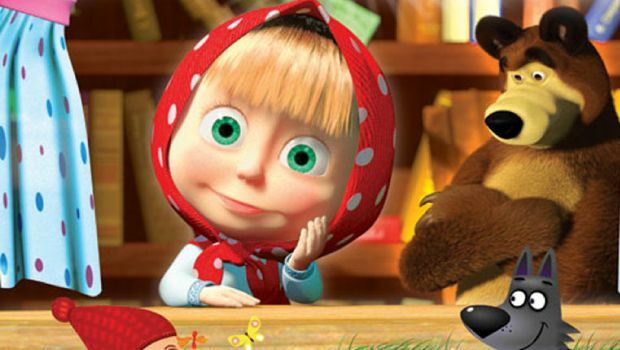 The Russian multipliers made a tremendous success - the 17th issue of the series "Masha and the Bear" became only the fifth in the history of video hosting Youtube, which gained more than 2 billion views. At the time of writing the news counter shows 2 003 277 372 views. The cartoon, which is called "Masha Plus Kasha", is also the only non-musical video in the Top 10 Youtube of all time. Seven-minute cartoon is sounded in Russian and does not contain subtitles - however, there are very few speeches there and it does not play any plot role. The video was shared on "Youtube" in January 2012 - it's easy to calculate that on average it is viewed a little more than a million times daily. The first place is still held by the first in the history of video hosting "billionaire" - a strange clip of the Korean artist Psy called Gangham Style. In addition to Masha plus Kasha, there are no Russian works in the first hundred of the world's most popular commercials. The full Top-100 can be viewed here: it is necessary to take into account, of course, that the majority of Internet users live in the US, the EU and China.